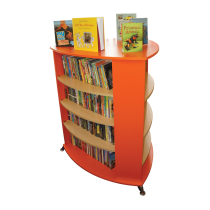 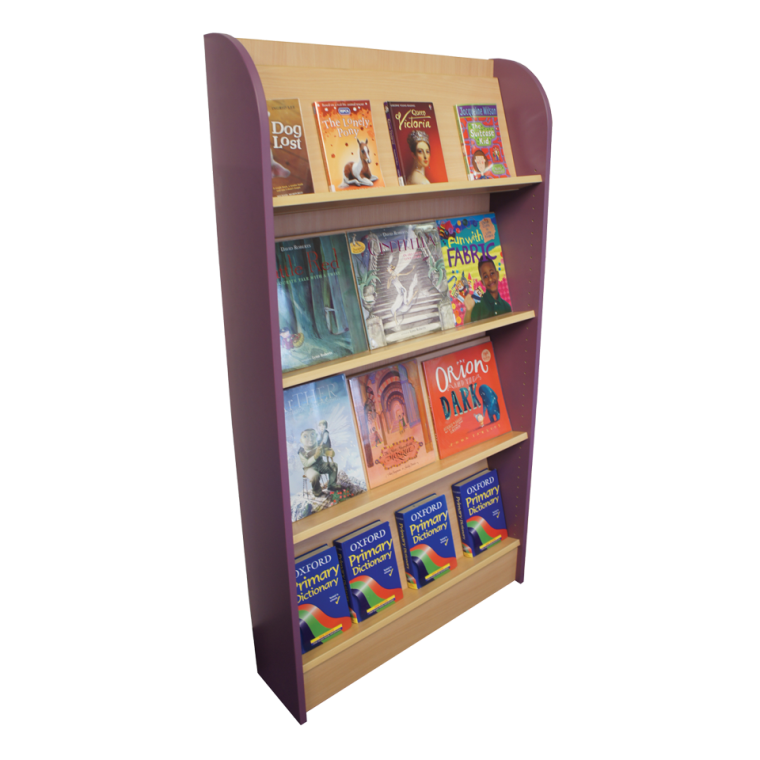 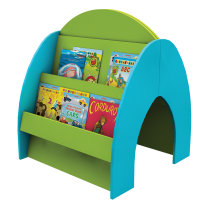 This narrow-depth shelving unit is design for promotional display (e.g. 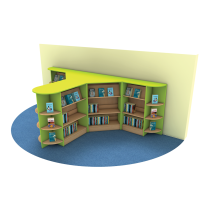 featured authors or new titles). 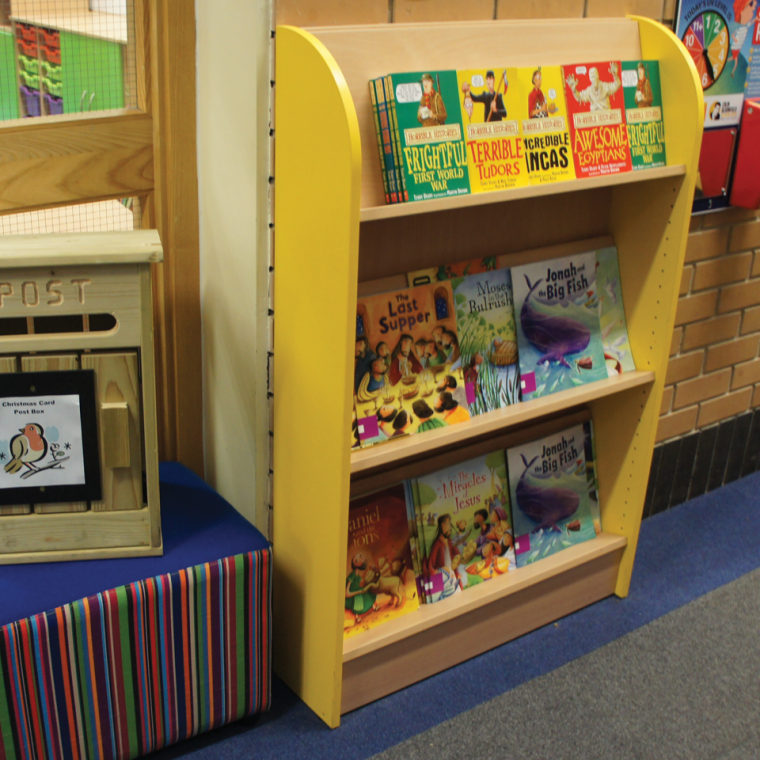 The covers of the books are clearly visible on sloping shelves, which is always appealing for younger readers.